and his ways of characterizing rulers, magicians and teachers in the image of the Bible's multifaceted God. 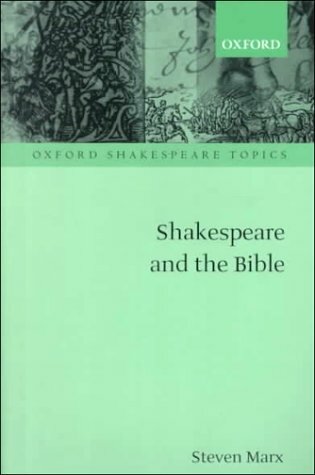 This book also discloses ways in which Shakespeare's plays offer both pious and irreverent interpretations of the Scriptures comparable to those presented by his contemporary writers, artists, philosophers and politicians. After an opening chapter comparing the Bible as a fragmented yet unified collection of 46 books with the fragmented yet unified First Folio collection of Shakespeare's 36 plays, each of the following six chapters matches a book of the Bible with a representative play: the creation myth of Genesis with the first play in the Folio, The Tempest, the historical epic of Exodus with Henry V, the tragedy of Job with King Lear, the tragicomedy of the Gospel of Matthew with Measure for Measure, the homiletic disputation of Paul's Epistle to the Romans with The Merchant of Venice, and the apocalyptic masque of the Book of Revelation with The Tempest again. Though its subject matter and style appeal to a broad audience, this book is grounded in recent scholarship in Shakespeare and Biblical studies. Its intertextual readings are framed by descriptions of the historical circumstances of each work's composition and reception and by an emergent theory of allusion as a principle of creation and understanding.